Cardio dance genius Anna Kaiser (the go-to trainer of hot celebrity mamas including Shakira) has created another workout—and it’s about to change the way you use treadmills, forever. The new routine, dubbed AKTread, (a riff off of AKT InMotion, the name of Kaiser’s cardio-dance studio) comes in the form of a downloadable video workout ($15.99). And we know what you’re thinking, what does treadmill have to do with booty-shaking? Actually, everything. “AKTread encompasses all of the elements of the AKT signature workout. You get a comprehensive, functional and most of all, fun, workout,” she explains. And that doesn’t even cover how you’ll look (firm booty, tight abs) and feel (sweaty and exhausted but powerful) after you wrap up a session. Want proof? Kaiser tells SELF that she’s put Shakira through these routines—and come on, you’ve seen this body. We’re sold. 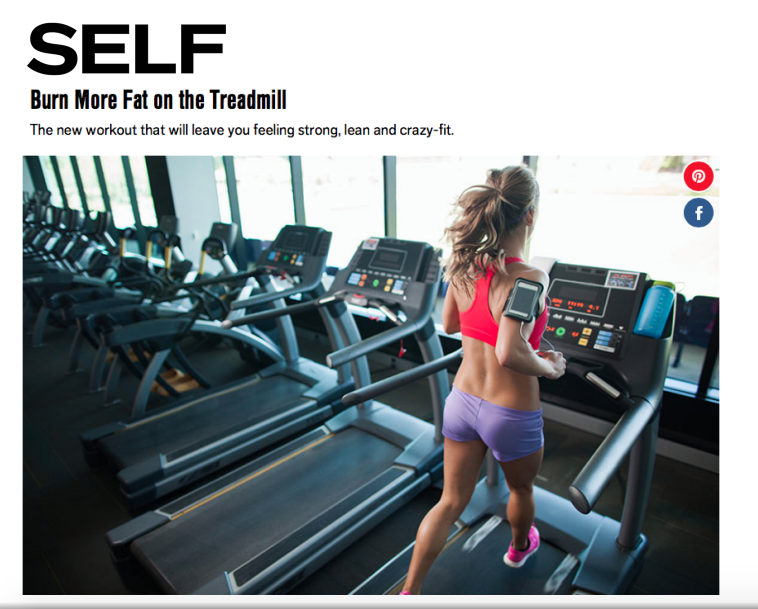 “The treadmill is the one machine you can find in almost any location. Weather isn’t an excuse to not get your perfect workout in,” she says, explaining yet another reason we’re stoked to make this routine a regular part of your regimen. And this workout will push you to think differently—see the clip below to get a taste of what you’re in store for. Maybe you also caught Kaiser on Good Morning Americatoday talking about it, too. “The treadmill is one of the most untapped (and oldest) pieces of equipment that has been waiting to be rediscovered,” Kaiser adds. And you know what they say: finders keepers.